FLUTD (Feline Lower Urinary Tract Disease) is a complex disease of the lower urinary tract often aΒociated with crystal formation which can be very painful for your cat. Struvite and calcium phosphate are two most common types of crystals that form in the urinary tract of cats. Struvite crystals and stones can occur if urine is saturated with magnesium, ammonium and phosphorus, and also if the urine has an alkaline pH value. 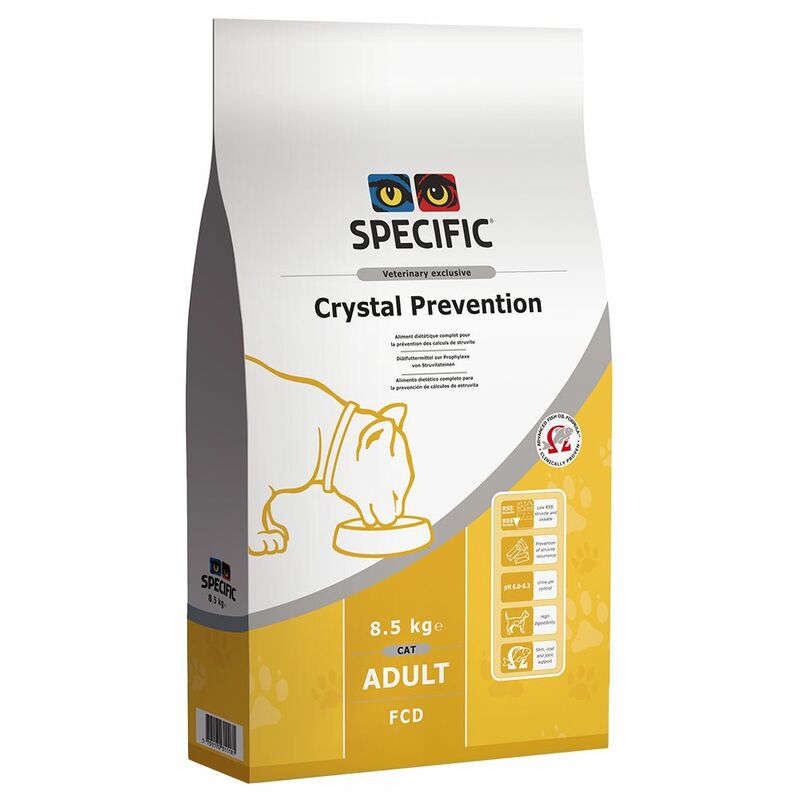 Specific Cat FCD Crystal Prevention is a complete therapeutic diet food from Dechra. It was developed in collaboration with vets and veterinary nutrition experts. It can help reduce the recurrence of crystals and struvite stones in cats. It is very tasty and is specifically formulated to help prevent urinary stone disease. It produces a reduced magnesium and phosphorus content and low pH value (6.0 to 6.3) in your pet's urine which helps to reduce the formation of urinary stones. The benefits of Specific Cat FCD Crystal Prevention: Reduced phosphorus and magnesium content Helps to keep urine-pH below 6.4 High energy content Highly digestible Usage : Prevention of recurrence of struvite uroliths in cats When recommended by your vet As a daily nutrition for your cat.